Take your children on an adventure to a local farm and let them see animals up close. Farm visits for kids in New York are great to help children learn about animals, how things grow and much more. Take your children to these fun farms for kids in NY. Pumpkins, Animals, Grains and More! Are you ready to take your New York fun farm experience to a whole new level? With more than 200 years' of experience, Stokoe Farms is committed to give you nothing but the best. Their old-fashioned tractors can take you for a unique hay ride to one of their pumpkin patches where you can harvest any pumpkin of your choice. The farm also has a corn maze that you can navigate with your kids. Each road will take you to a different fun station around the farm. They also accept reservations for group visits during the weekdays. Just don't forget to give them a call! Looking for a whole new farm adventure for your kids? There's no need for you to go elsewhere! White Post Farms is the place where you want to be! The farm is open Monday - Sunday from 10 AM - 5 PM. Wet and Dry Bouncers are usually available on the weekends. 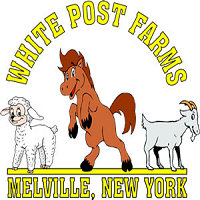 Since its opening in 1886, White Post Farms has been voted as the number one petting zoo in Long Island. Experience the thrill of horseback riding and the fun in their famous Aviary. They also cater birthday celebrations and more! So what are you waiting for? Come and visit the number one fun farm for kids in New York! If you are looking for a unique and fun-filled NY fun farm escapade then Wickham Farms is the place where you want to be. The farm has several amenities and activities that you can enjoy. It includes six batting cages equipped with pitching machines, corn maze, 18 hole mini gulf course and many more! Kids will surely love the farm's jumping pillow blast, train ride and mouthwatering delicacies -- they serve 32 flavors of Hershey's ice cream! So what are you waiting for? 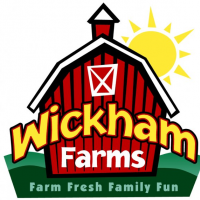 Visit Wickham Farms now and start your fun-filled fun farm escapade in New York! Are you looking for a place for a special occasion? Let's say, your kid's birthday party. 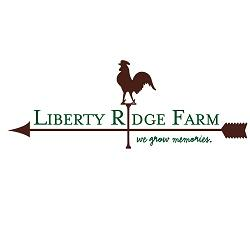 If you are then Liberty Ridge Farm is the place where you want to be. Its more than 50 acres of farmland provides a vivid backdrop for a party, wedding or just a casual NY fun farm activity. Enjoy and have fun with dozens of farm animals, shows, trolley ride, jumping pillows, cornfield maze and more! The farm also accepts group visits, educational tours and other activities! So what are you waiting for? Grab the phone and give them a call today!